Now that Thanksgiving is finally past us, and Christmas is fast approaching, I have begun to plan all of the things that I will bake over the next month. I am a baker for sure. Because I love to bake, I do all that I can to share this love with my kids. I am a firm believer that if more people cooked with their kids the world would be a better place. It sounds absurd, but truly think about it. When you cook with your kids you are spending quality time with them, we all know the benefits of that. When you show your kids how to measure ingredients you teach them simple math skills. 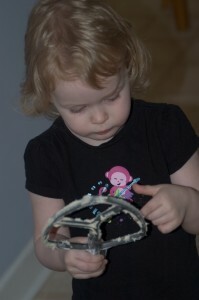 Showing them how to level their scoop of flour, they learn precision. Watching the baking powder and salt create bubbles is simple chemistry. Following a recipe is practicing to follow directions. Even better, we can show kids how to clean as they go, which is a life skill everyone should have! The best lesson to be learned? Waiting for whatever you are cooking to be finished, we reinforce patience! I have never met a child who couldn’t use a refresher course on patience! Even better, we can show kids how to clean as they go, which is a life skill everyone should have! I am not afraid to admit that I have made some mistakes in the kitchen, and I use those mistakes to teach my kids too. We try to find out why a recipe didn’t work, how we can fine tune it, or simply that it’s okay to fail at something, so long as you try again. Now imagine that everyone had the opportunity to do these things with their kids on a regular basis! Imagine how much smarter our kiddos would be. And the biggest benefit of all? Eating all the yummy goodness that you both made together!